Formula 35*10582 The formula number on the label identifies the ingredients used to make that particular product. Polypropylene is a polymer that can be used to form a plastic container and its lid. It can also be used to form the slider closure on a bag, the clear window in a container lid, or to form special bags such as Ziploc® Zip’n Steam® Microwave Cooking Bags. Polypropylene has a wide variety of common uses, from piping to dishes to protective plastic sheets. It is also often used for containers for uses from food to medical use, because it can withstand heat. It is approved for use in products that come into direct contact with food. Polypropylene can withstand both heat and freezing. 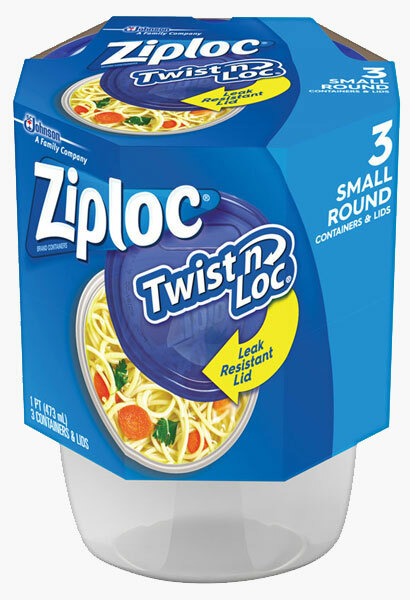 Check your product label for more information and rest assured that Ziploc® Brand products that are marked as "microwaveable" meet the safety requirements of the U.S. Food and Drug Administration (FDA) for temperatures associated with defrosting and reheating food in microwave ovens, as well as room, refrigerator, and freezer temperatures. ClearTint® PP Blue 5733 is a colorant, or dye. We add dyes to products for a variety of reasons including helping you see where you applied the product, when a product is used up, or for aesthetic reasons. ClearTint® PP Blue 5733 is added for aesthetic reasons – it is used to create a pleasing color for a plastic container’s lid. It is a trademark and product of Milliken & Company, which is responsible for its contents.